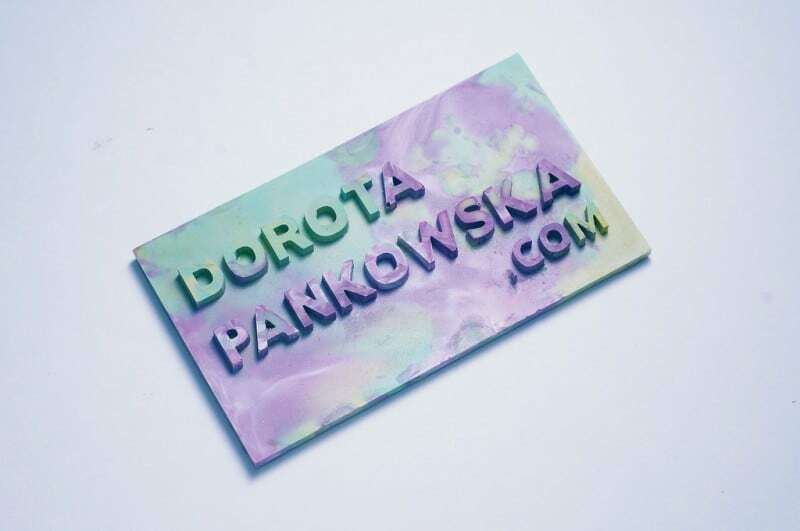 Super creative Canadian designer Dorota Pankowska came up with an original idea of business cards made from wax crayons. The astonishingly vivid selection was made using a silicone rubber mould, that Dorota drained melted crayons into before making it all set. The final result is a solid business card with her website address in huge, bright lettering. And whenever the person she’s giving them out to wants a telephone number or address, too? Well, they can use the card itself and write it down, can’t they!